I always had a weight problem, from elementary school age through to my 20s. I wore “junior’s plus” clothing from the JC Penney catalog, and when I was in high school I could really only fit clothes from a few stores. By the time I got to high school I was 197 lbs. I always felt like I wasn’t physically attractive. I didn’t like being around other girls because they were thinner and prettier than me. I relied on my boisterous personality, always being the loud one telling jokes and keeping all my friends laughing. I also used humor as a shield against anyone picking on me for my size. As I got older, I eventually just decided that since I didn’t have any major health problems and since fashion was entering this plus size revolution thanks to gorgeous plus size models and body positive campaigns, I would just stay big and be happy. I dressed well, I learned to keep my hair and makeup cute, and I still maintained my outgoing bubbly personality. In late 2014 after spending months traveling for work and living out of hotels and eating out, I had added 25-30 lbs to my already too heavy frame. I weighed 255. Earlier that year I had a brief bout of success with Medifast, which I realized wasn’t feasible for my budget. Then a transition to weight watchers for the 11th time. I realized I needed more help. In December 2014 I sat in on a lecture about bariatric surgery. I scheduled an appointment with a bariatric surgeon in January 2015 initially wanting the LapBand. 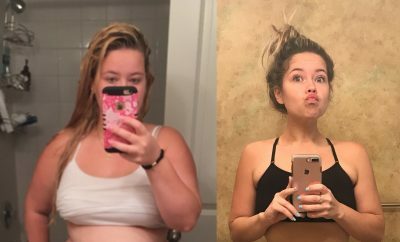 My doctor explained to me that due to my longtime weight struggle, how rapidly I gained weight, and how much I would need to lose, gastric bypass would be the best option for me. 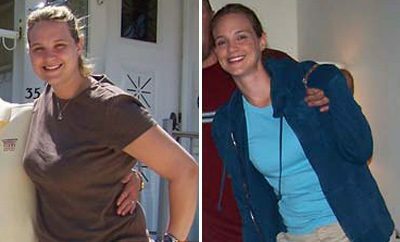 She started me on a special diet and I underwent lab testing, where we discovered I was pre-diabetic. I knew this wasn’t just about losing weight anymore, but saving my life. In the first 10 weeks before surgery that I was on the doctor’s diet, I lost 21 lbs. After surgery, I was losing about 10-12 lbs per month initially. Just a few weeks short of a year from my first appointment, I lost 100 lbs. I’ve been maintaining my weight for 6 months. My family was not initially in support of my having surgery. They felt it would be too drastic. My mom came to my appointments with me, and it gave her a better understanding of what I was facing and why it was so important that I get this weight off so I can go on and live a healthy life. My friends were used to me being “the fat friend,” so when I changed my lifestyle and didn’t want to join them for food adventures, they slowly stopped calling to invite me places or make efforts to see me. Or they would assume that because I had surgery, I no longer ate. The first few months after surgery, your eating is very minimal and goes in gradual stages like feeding a baby, so my options were limited, but I still wanted to see my friends. Seeing my results and experiencing “normal” things I couldn’t previously do kept me motivated. Being able to shop in all stores without needing plus sized items was fantastic. Sitting comfortably in an airplane seat, crossing my legs while I sat, wearing high heels…running! I love running now! 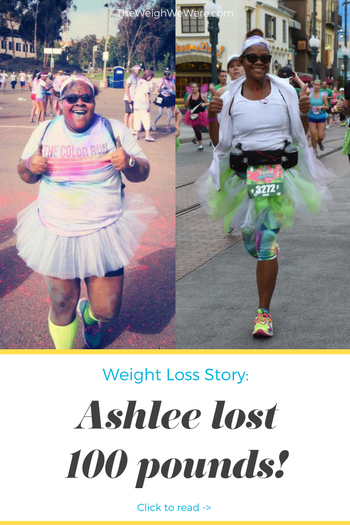 Before my weight loss, running left me in the worst pain and disappointment. I wanted to be a runner so bad and my body just wouldn’t let me. When I hit a plateau or see a small bit of regain, I reassess what I’m doing and go back to what I know works. Drinking my water, moving my body, eating only when I’m hungry and eating only for fuel. Tons. I’ve gone zip lining, I’ve been able to ride roller coasters that I didn’t normally for as comfortably in. I wear the same size as my teenage niece! My diet consists of small portions made of at least 50% protein. Sometimes I don’t have an appetite or my new small stomach feels restricted, so I’ll drink protein shakes and stick to soft foods. I was always in the gym. I worked out all the time, but I was undoing all the work with poor eating. Now, I feel more confident to try new things and work out without feeling like someone is watching me or is going to make fun. I’m also addicted to running. 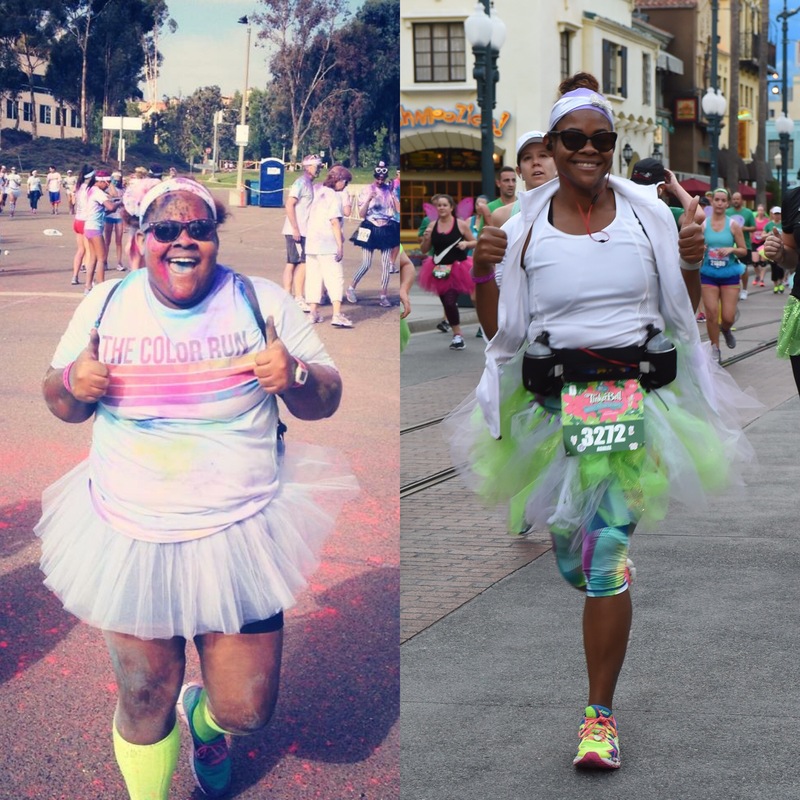 I’ve run 4 half marathons since September 2015–just 5 months after my surgery–and I’m slated for 3 more this year. Try new things. Your body gets used to the same routine over and over and you’ll stop seeing results. Make friends with people who share your goals. Bonus points if they will workout with you. We all fall down. What’s important is getting back up. I’ve had bad days where I ate poorly and didn’t make it to the gym. But one bad day (or even 4) won’t put 100 lbs back on me. Celebrate every victory, whether it be on or off the scale.